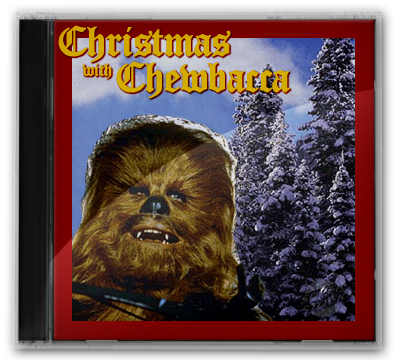 Chewbacca sings "Silent Night" • The Original! 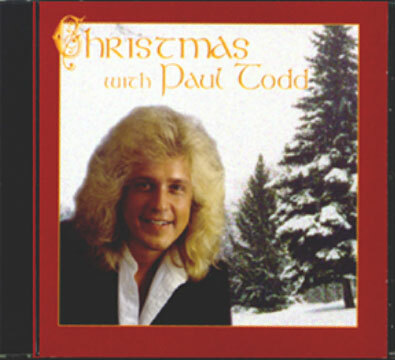 On December 12, 1999 I had a simple plan: ruthlessly mock pay fitting tribute to Christmas with Paul Todd, a new CD that the company I then worked for had just released. A coworker had spotted Paul Todd in our office during the discussions about the CD project, and nicknamed him "Chewbacca" for his imposing mane. After I saw the slapdash cover art for the album, including the contractually obligatory portrait taking up at least 40% of the front, I knew I had to entertain my coworker with a Chewbacca version. I daresay my 30 minutes of Photoshop tinkering ended up looking far better than the original. Then I decided cover art wasn't enough. We needed audio. The musical backing was simple: I owned a cheap Yamaha keyboard that contained a bunch of preprogrammed songs, including a jazzy version of "Silent Night". I simply recorded that straight into my computer. Yes, I'm a musician, and I should have created my own music. But this was supposed to be bad, and I could hardly top the work that had already been done for me. Next, I hunted down all of the Chewbacca sound clips I could find on the Internet. Remember, this was 1999. Google was just a year old. I think I may have still been using AltaVista. It was quite an undertaking. Once I had my sound clips, I determined the pitch of each one and made sure I had all of the notes I needed for "Silent Night." I was missing a few, so I had to pitch shift them in my audio editing software. Then, I simply inserted the clip of the correct pitch at the correct spot in the music. By the time I got to the end and realized I was missing low pitches for the final two notes, I was too drained and was beginning to question why I was going to the trouble of all of this anyway, so I just had Chewy jump up an octave. Hey... listen to that voice. You can't expect him to have much range. My coworkers all got a good chuckle out of "Christmas with Chewbacca" and for the next couple of years as December approached we'd share the link around the office again, and I pretty much thought that was the end of it. A few years later, unbeknownst to me, someone stole the audio track for a YTMND page, and a legend was born. My dumb little audio clip was suddenly on dozens of websites and even made a few appearance on radio and TV. And apparently everyone assumed the YTMND page was the original source. And of course, someone else has since stolen the audio from there to make a YouTube "video" that has over a million views. Congratulations. You've found the original. Yes, I make my living as a web developer. And, as a principled web developer, auto-play audio or video on a page is a huge no-no! But I'm making an exception here because... well... the audio is kind of the whole point, isn't it? A Room 34 Creative Services production. Not affiliated with or endorsed by Lucasfilm, Ltd., Paul Todd, or common decency.